Stock #165333 Very nice and well maintained 2016 Lowe Stinger 195 with only 10 hours! If you are in the market for an aluminum fish boat, look no further than this 2016 Lowe 19, priced right at $25,600 (offers encouraged). 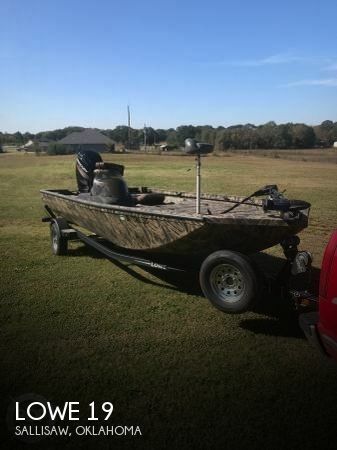 This boat is located in Sallisaw, Oklahoma. She is also equipped with a Mercury engine that has only 10 hours.